Made for easy hook-ups between the tow vehicle and trailer! Makes it easy for one person to hitch up to the trailer by themselves. 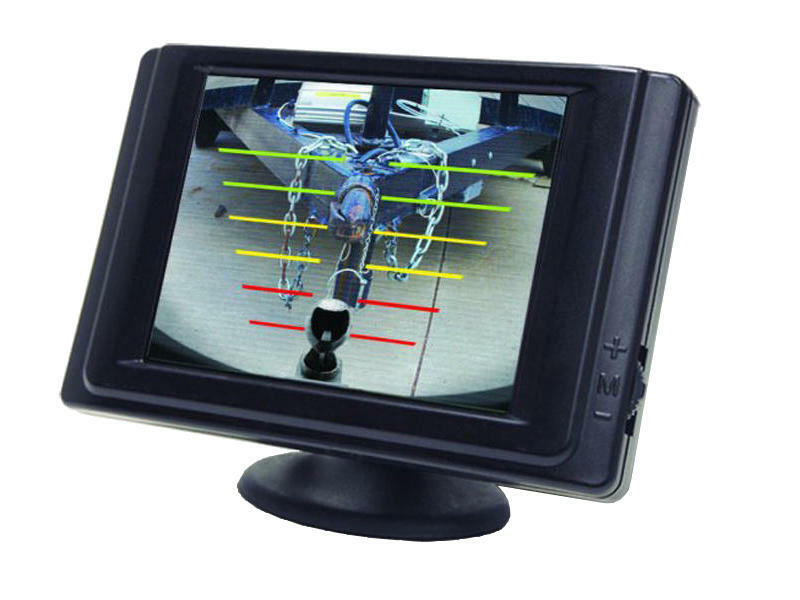 Large 3-1/2" color monitor with a static free image. Features three detection zones that alert the driver to distance and direction off the objects with audible alerts. Plug in simple - no splicing required! Plugs in behind the tow package 7-way connector, retaining electrical functions at the rear of the vehicle. 19'-9" cable comes with this kit. If extra cable is needed a 5 foot extension cable is available from Hopkins MFG free of charge.